Your self-published book is finally available for sale—hooray! But instead of swimming in book orders, your sales report looks like a barren desert wasteland. Now what? You need to prime the pump and market your book to get your name out there and connect with readers! Wondering where you can make a big splash in a pool of potential fans? Here are some ideas. Goodreads: Start a Goodreads author page. It’s free and a great way to reach passionate readers! If you’re already on Goodreads, message your friends about your book and ask them to spread the word. You may hook a fish or two and get on some to-be-read lists. Then, when their friends get notifications about your book being the next hot read, you may pique their interest, as well! Bookstores: If you’re thinking about big-box bookstores, it may be somewhat difficult to get your book on the shelves (this is an understatement). Start small. Some local, independent bookstores offer consignment programs in which the store and the author split the sales. And there are bookstores that have local author days specifically for promoting self-published authors. You can sit down and do a signing, give a reading, and connect with your readers in person. Libraries: It’s also not easy to get your self-published book on library shelves, but give it a try. Your neighborhood public library may purchase your book to show support for a local author. But even if your book isn’t available to borrow through the library, you can still offer to do a reading or teach a class on writing (using examples from your book). You can even host an activity at the library that corresponds to events, places, or history in your book. Libraries love to promote interesting events for the public! Special interest groups: Search the Internet to find some groups that have a focus on the genre or topic that your book covers, and don’t be afraid to broaden your scope a bit: If you’ve written a book on the healing power of cuddling with your cat, take it to your local pet store. Tea and scones photography book? Contact the corner coffee shop. Graphic novel? We’ll bet your local comic store would be more than proud to promote someone from the area. Facebook: You’re probably already on the biggest social media network in history, so make an author page! You can even have us do it for you. Your friends and the folks following your author page will see your posts on their timelines, so be sure to post often (but not too often) about your book, book-related events, and any special freebies you’re offering! The best advice we can give you is this: Don’t focus exclusively on selling your book, drowning people with your sales pitches. Instead, make a friendly effort to meet and interact with the folks who would be interested in your work. As they get to know you (maybe after you’ve bought them a latte or two), they’ll be more likely to be interested in purchasing and reading your book. QUESTION: Do you know any other ways to connect with potential book buyers? 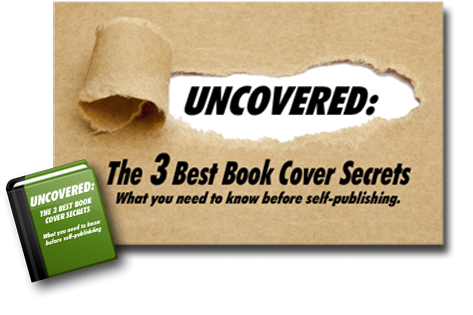 2 Responses to Where Are All The Readers For Your Self-Published Book? Find Out. All great advice. It really is difficult to get your book out front when it is your first, and your genre is in such great competition. But, I do have at least eight reviews on amazon, managed to get my book in our local library, doing a book signing this Saturday at the local bookstore/café, and had a sequel night there two weeks ago. Many of the readers I do have insisted I have to write a sequel. They really want to know what happens to the characters, so after hearing six or seven from the area discuss it over baked goodies and coffee, I’m writing a sequel. I’m two chapters in, so get ready Writer’s Relief. I’ll be back . . .